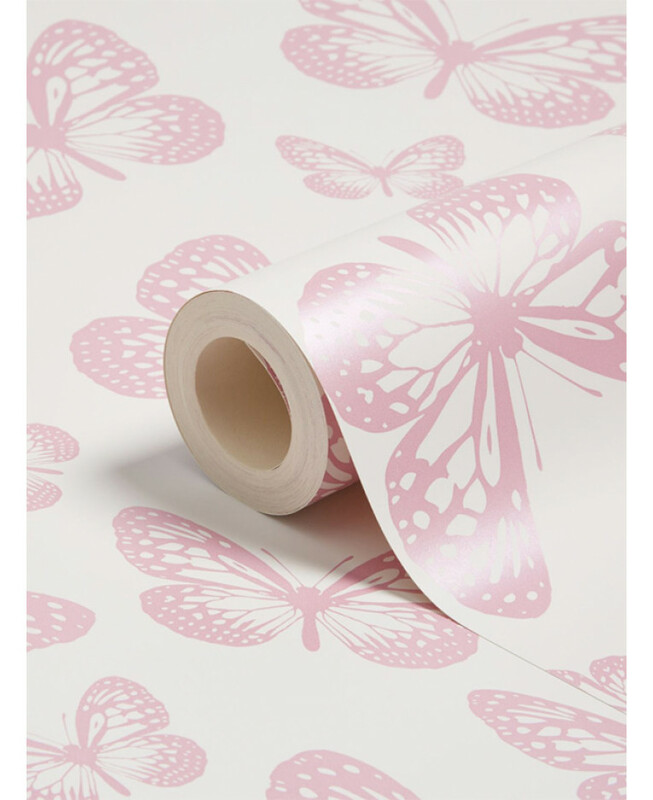 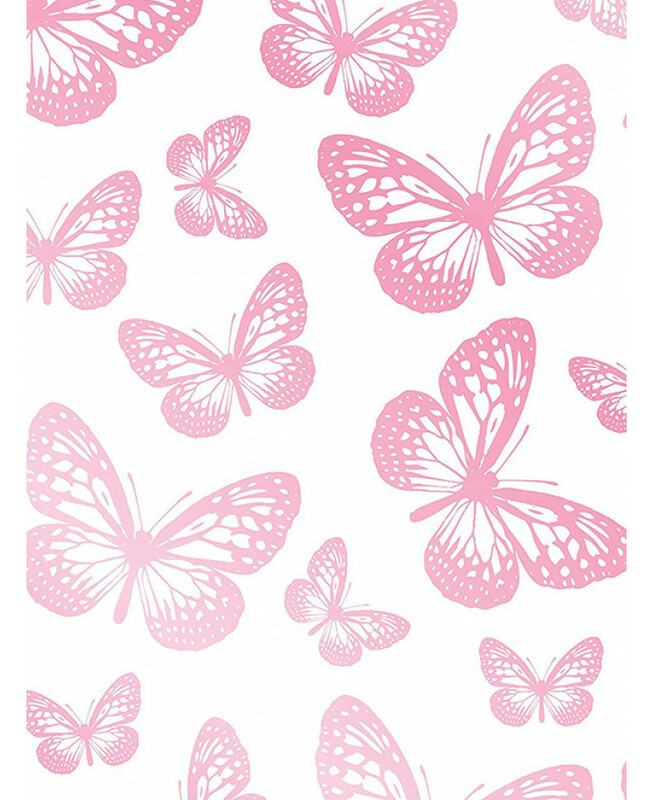 Use this fabulous Butterfly Wallpaper to create a butterfly theme in any room. 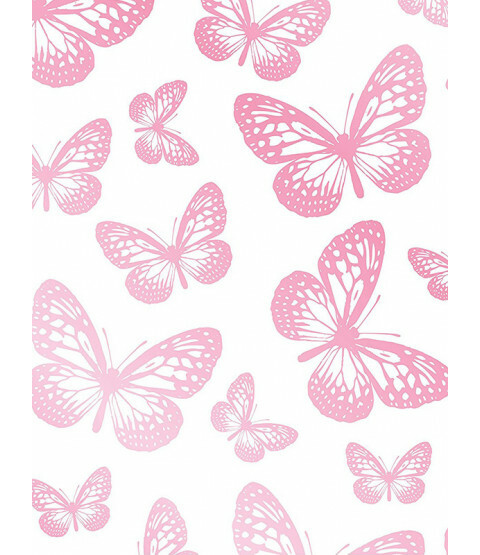 Made from high quality paper, the design features lots of pretty pink butterflies on a white background that is infused with a subtle shimmer. 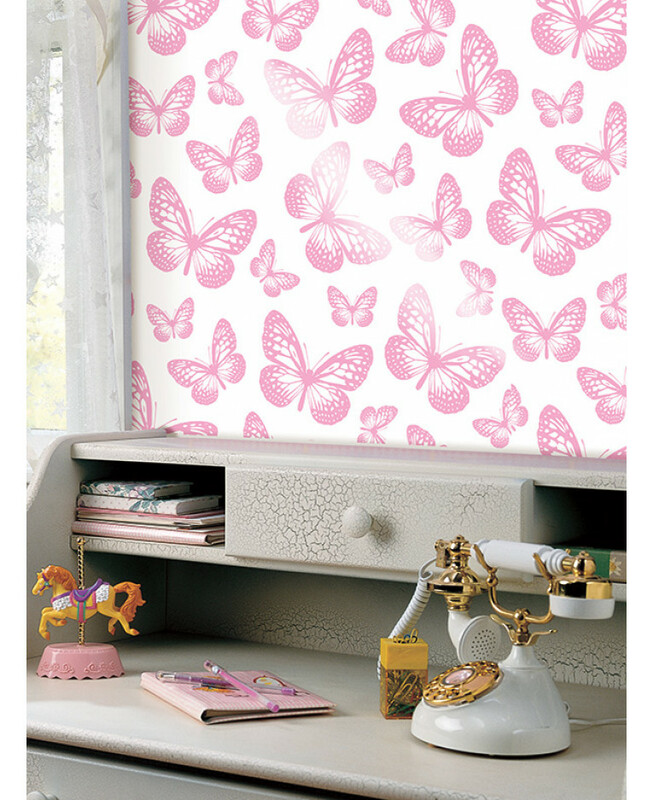 Easy to apply, this wall paper will look great when used to decorate a whole room or when used to create a feature wall.